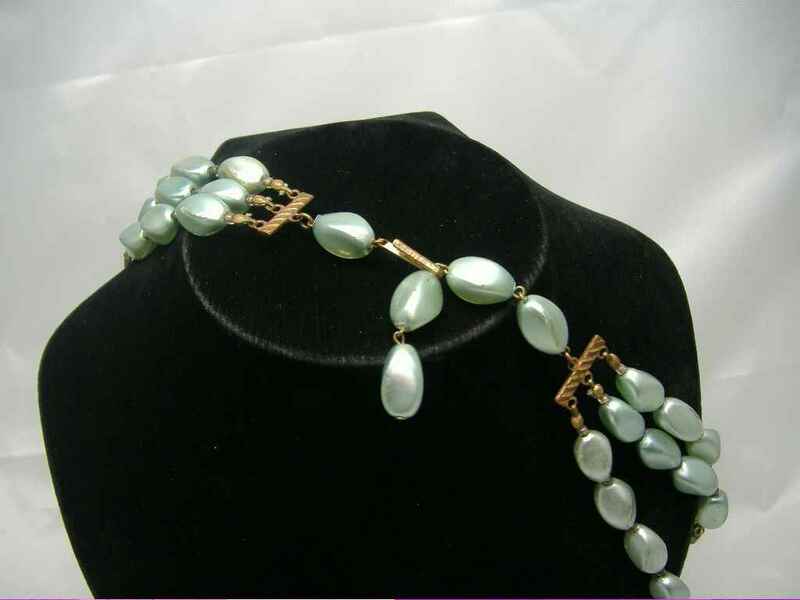 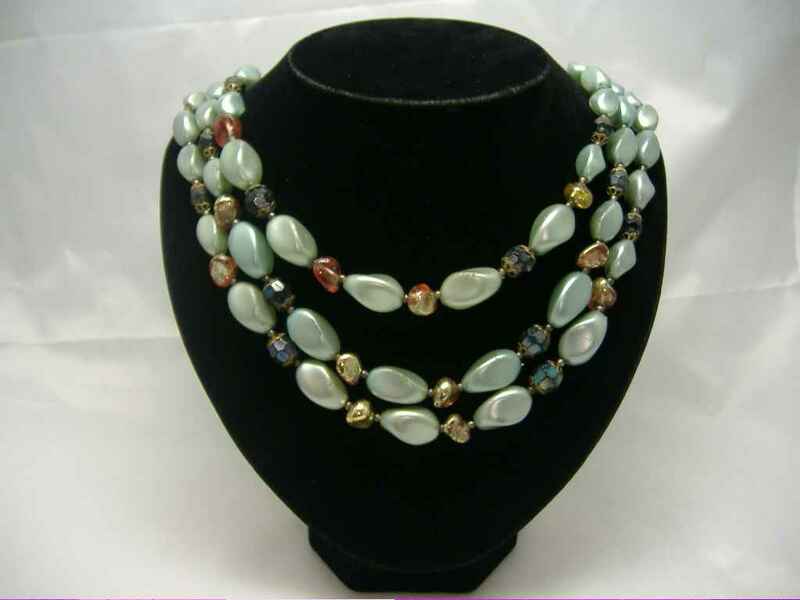 Vintage 50s three row mint green faux pearl glass bead necklace interspersed with black ab crystal beads and gold beads. 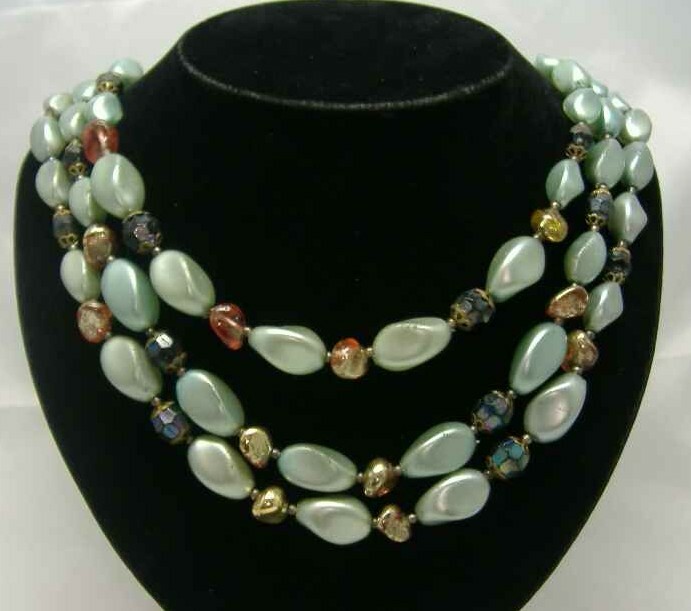 Super quality vintage necklace - great weight to it as well. 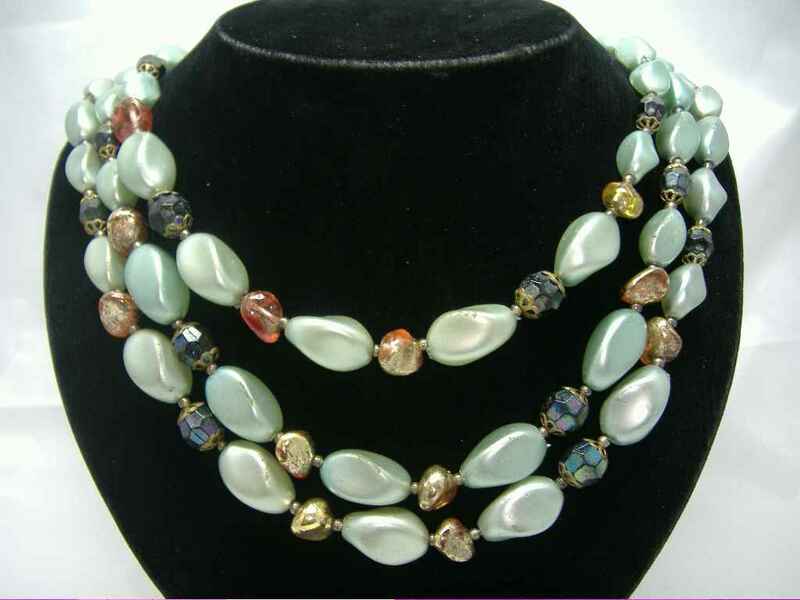 Som wear here and there to the faux pearl beads, nevertheless, a great vintage piece.